There's nothing like a cozy knit sweater! 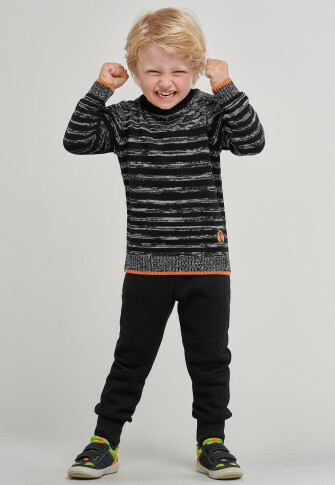 If he still looks just as cool as this boys' SCHIESSER sweater, then your little hooligan will be happy all the time! 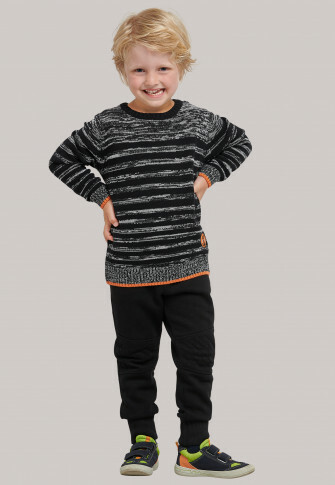 The stripe pattern in black and white attracts everyone's attention and adds a great detail together with the orange-colored contrasting stripes on the sleeves and hem. The round patch is another highlight with its "JUST BE COOL" lettering . 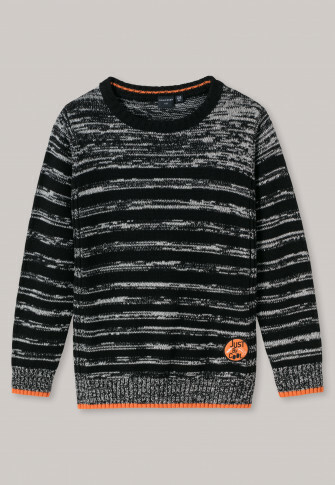 A real favorite sweater made of 100% soft cotton!